There are many reasons why people go to an escape room: the puzzles, the novelty, the immersion, etc. I go because I like how my escape team solves a room. I usually play with the Divas and E4G, and when they are together, it is one of the few times in my life where I’ve been involved in a high performing team. For the record, this is not a document on team building. I am not going to tell you how to build a great team. However, being part of one, I’ve noticed a few characteristics I think are important for a great team dynamic. Communicative – This trait is found in every relationship blog out there, but there are a few things to highlight. Not only should a team member listen, they should also know when, what and how to communicate. Finding a clue is important, but informing people who need to know is just as important. Example: I was in a split room. In the chaos of the first five minutes, people were shouting out random bits of information: “Found a lock! Found a vase! Found a purpose to life!” This was not helpful. Later on, when we were stuck, someone finally told us the clue we needed and haughtily told us they mentioned this earlier. 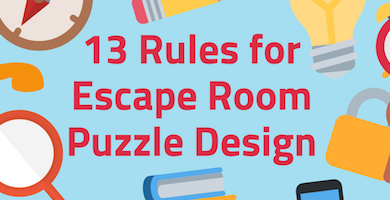 Diversity – Escape rooms will call upon a variety of different skill sets from your members, but it’s important to find people who think on different wavelengths. Remember, you have you to think like you do. You don’t need anyone else to think like you. Example: There were a string of alphanumeric numbers. My first inclination was cipher. My cousin’s first inclination was directions. In this case, her first thoughts were correct. There have been many cases where she and I have looked at a puzzle and thought two completely different things which helped lead to a solution. Collaborative – On our team, people work on puzzles in different ways. Some people team up, some people work solo, some people move from one puzzle to another to give a fresh perspective. In all cases, it is a collaborative effort and flows organically. Note: We rarely gather together around the same puzzle. We organically split into different roles depending on what we like. I like to go from puzzle to puzzle and keep track of used clues and solved puzzles. My daughter likes to scour the room and bring clues to the proper person. Manpans will stick to a puzzle and work on it till solved. Different groups will form and disperse. It’s pretty cool. Experience – The only way to improve your team is by doing a lot of rooms together! How does each member fit in? Who works best with whom? The more rooms you do, the more your team will mesh. 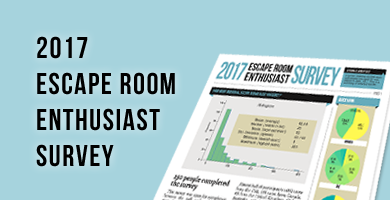 Note: There are two obstacles to overcome when doing an escape room: 1) solving the room 2) working in a team. An experienced team no longer has to worry about how to work together and can focus on doing the room. Humility – Humility is understanding your strengths and weaknesses. It is not throwing a pity party because you need validation. Each player should not only be aware of themselves, but also of their own team members. Knowing the strengths and weakness of your teammates will help in finding the right people for a puzzle! Note: Everyone is afraid of looking stupid. Some people want to be the hero, some just want their ideas heard. We have heard awful stories of people hoarding clues, individuals replacing their own incompetence with derogatory bravado, and others with hurt feelings because they couldn’t be involved in everything. This is a hard one, but an escape room isn’t the place for ego. Trust – In my mind, this trait presupposes all the above traits: you must trust your teammates. If they have a puzzle, you should be able to trust they are doing it to the best of their abilities. If you cannot figure a puzzle out, you have to trust someone else can. If you micro-manage, second guess, or constantly question, you will eventually foster an atmosphere of blame and anxiety. Note: This was the reason I wanted the list in the first place. I trust my teammates. It is such a rewarding experience to know you have awesome people on your escape team. Compatible – It’s important to find members who are compatible with each other. 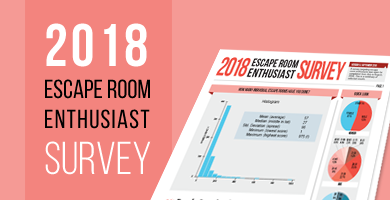 Escaping a room is fun, yes, but having a good time should be your main goal. Having similar goals (i.e. “fun”) and liking each other is highly recommended. This is why I love playing with my team. What about you? Anything you think is crucial for your team?